EAST TEXAS – According to a posting on the district’s Facebook page, Alto schools will reopen on Monday, April 22nd. Weekend storms caused major damage to buildings of the Alto school system, prompting a temporary shutdown. No damage was noted at the elementary and middle school. More inspections are planned for the high school. There is a possibility that high school classes will have to be held on other district campuses. Roads that had been closed following weekend storms in the Alto area have now been reopened. 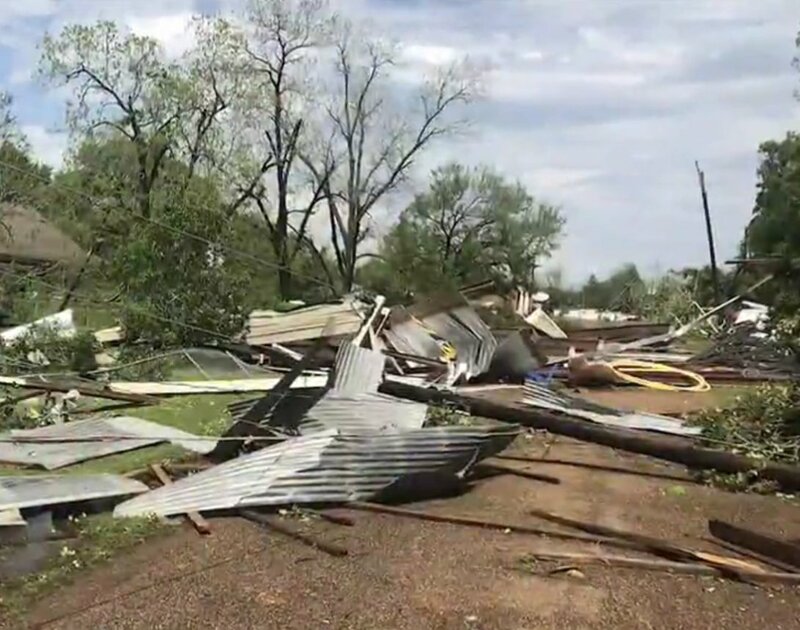 Otherwise, the cleanup continues after heavy thunderstorms rumbled through East Texas Saturday afternoon, producing deaths, injuries and damage. In Angelina County, two boys, 8-year-old Dilynn and 3-year-old Jace Creel, were killed when a tree fell on their car. Their parents were not injured. We have had reports of trees down and damage to homes and businesses. Over 25 persons were injured, 8 critically, at the Caddo Mounds Historic Park. We are told one of them has died. They were part of a group celebrating Caddo Culture Day. The park has been closed till further notice. The National Weather Service has been surveying the damage. One of the storms has been confirmed to have been an EF-2 tornado. It caused the worst damage south of Alto. 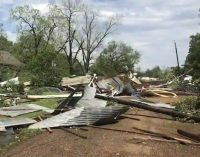 A later storm, said to be an EF-3 tornado caused the worst damage southwest of Alto. Tyler set a rainfall record for April 13th. The National Weather Service measured 2.70 inches of rain in Tyler. The previous record for the day was 2.45 inches measured in 1969.